Turkey on Sunday criticised Israeli Prime Minister Benjamin Netanyahu as “irresponsible” for saying he would annex Israeli settlements in the occupied West Bank if he wins Tuesday's election. “Prime Minister Netanyahu's irresponsible statement to seek votes just before the Israeli general elections cannot and will not change this fact,” Cavusoglu tweeted. 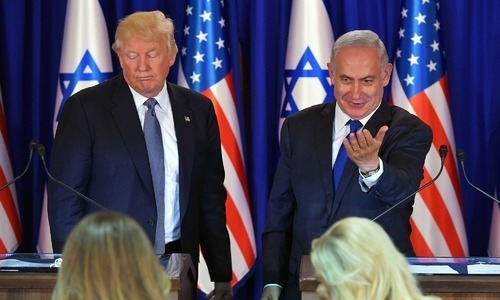 “I am going to extend [Israeli] sovereignty and I don't distinguish between settlement blocs and the isolated settlements,” he told Israel's Channel 12 News on Saturday. Turkish President Tayyip Erdogan's spokesman echoed those charges on Sunday. “Will Western democracies react or will they keep appeasing? Shame on them all!” Ibrahim Kalin tweeted. Erdogan, whose AK Party has led Turkey for 16 years, has criticised the administration of United States President Donald Trump over its pronounced support for Israel, including Washington's decision to move its Israel embassy to Jerusalem. The Palestinian foreign minister said Israel's leader will face a “real problem” if he follows through with his promise to annex the Jewish settlements in the West Bank. Riad Malki told The Associated Press today on the sidelines of the World Economic Forum in Jordan that Netanyahu's pledge was likely aimed at rallying his nationalist base in the final stretch of a tight race. He added that Palestinians would resist such a policy if carried out. Israel won all the wars. good call. however what is he going to do if Israel will do it? Who is Erdogan to ask such questions and give statement? Everyone pretending to be blind and naive. The settlement expansion was going to lead to creation of greater Israel. It was plan all along. All about the timing. Now when Muslims have become desensitized to suffering of fellow Muslims they know there will be no repercussions to however extreme and unjust their actions become. 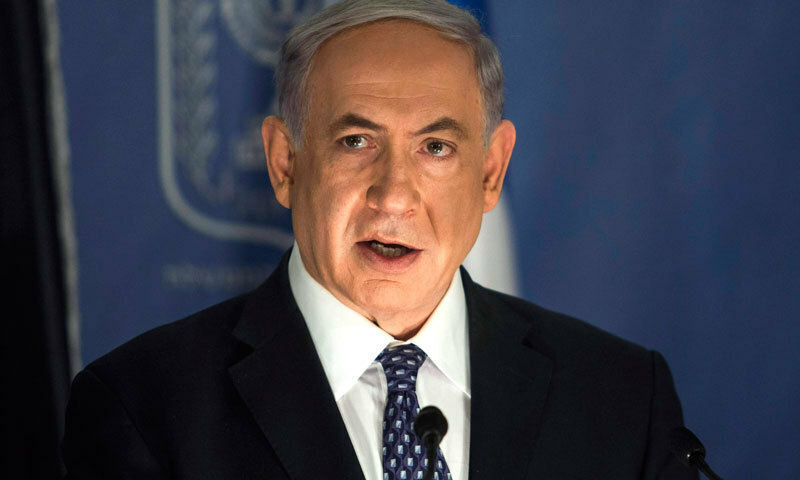 Netanyahu is a true leader and a gift to the peace loving people of the world. Turkey seems to be one of the few 58 Islamic countries, whose dynamic leaders have got the guts and the grit to call a spade a spade, in today's world, where centuries old jungle law of "might is right" prevails in letter and spirit. @Jinesh Jills George, a leader of a country with intentions of peace with his neighbors. 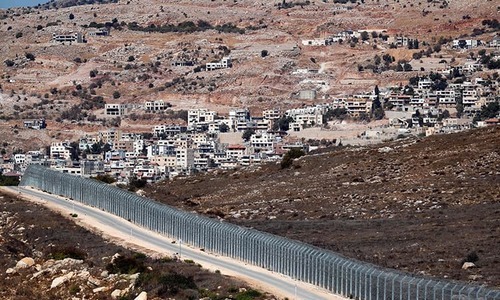 He knows Israelis will occupy lands in other neighbors as moves for greater Israel starts. @Jinesh Jills George, who are you to ask such a question of the president of a country? Thank you Erodgon for at least saying. Planned weakness of muslim states by US. @M. Emad, by conspiracies against muslims. @Jinesh Jills George, And who are you to comment on this. @Ex, yes we are brothers. @Ex, No. its a Muslim country that speaks the truth. Unite and support Turkey. I read a very interesting article which describes the similarities between Erdogan and our prime minister Modi ji. No they didn't win all the wars, you must have forgotten the 2006 war. Who are you to question Erdogan? Really? Israel and US want regime change in Syria but they failed. @Jinesh Jills George, who is Israel to take other people's land ? Israel will have to provide financial, medical and educational support to millions of people there. @M. Emad, Not really. They have won all battles. The war is still ON. Why are we worried when many Arab countries are not worried. As same Arab countries not even concerned about Kashmir and handing out Awards to Modi. No military power stays above all, forever. 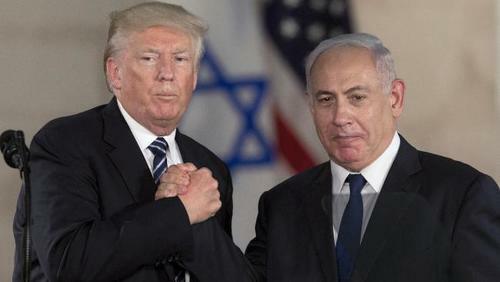 USA is today strongest military power, but would USA going to be as strong in 50 years as today, or be supportive of Israeli atrocities and illegalities? 100 years is nothing for Nation. A country cannot survive too long when it antagonises people and countries as much as Israel. There was time when Israel with USA backing, was stronger than all neighbouring countries combined. But with time, a local militia (Hizballah) started challenging Israel. Iran was pro-Israel before Islamic revolution (1979) but changed at price (40 years of sanction), still, Iran is becoming stronger and stronger. In science and technology, Iran is progressing faster than any country in the world. Few years ago, Turkey was neutral regarding Israeli atrocities, but today, they are also getting antagonised and speaking. Does Israelis really think that by antagonising whole Muslim community (barring some rulers), they would survive? Arab leaders fully support Israel it is a great move. Eventually Palestinian will be living on reservations just like American Indians in USA. Israel, Palestine and such are great tools of distraction for foreign leaders who are failing their own people. The same people have no answers for their own failing economies or status of human rights, women's rights, minority rights in their own countries, and certainly have nothing to say about Yemen or Muslim camps in China. international laws? what are those? now its who has the might has the right..about time the Muslims nations around the globe got together ! @M. Emad, The shall lose the final one IA.